Crisis-hit Jet Airways Thursday said four of its aircraft have been grounded due to non-payment of lease rentals. Faced with acute financial problems, the airline is looking to restructure debt and raise fresh funds. 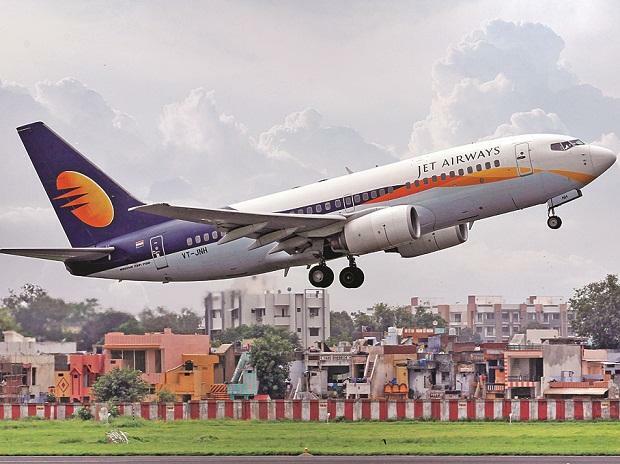 In a filing to stock exchanges, Jet Airways said four planes have been grounded due to non-payment of amounts outstanding to lessors under lease agreements. "The company is actively engaged with all its aircraft lessors and regularly provides them with updates on efforts undertaken by the company to improve its liquidity," it said. The carrier also said it is making all efforts to minimise disruption to its network and is proactively informing and re-accommodating its affected guests. "The company also continues to provide required and periodic updates to the Directorate General of Civil Aviation in this regard," the filing said. On January 30, the airline said it was actively engaged with all its aircraft lessors and are being updated about efforts to improve liquidity amid flight cancellations due to grounding of aircraft. Referring to the update given on that day, the airline Thursday said the three aircraft that were grounded for engine normalisation are back in commercial operations. As per a press release, Jet Airways Group currently operates a fleet of 124 aircraft.